He was brought up at La Masía from 1980, and on September 23, 1982, still as a youth player, he came on for Diego Maradona on the day that the Miniestadi was inaugurated. He is one of the players that best symbolises the Barça youth system, and his promotion to the first team came at the same time that the Dream Team was being put together. He developed into one of the engines of that side, playing as a centre half, and constantly putting in solid performances in a quiet but tremendously effective way. 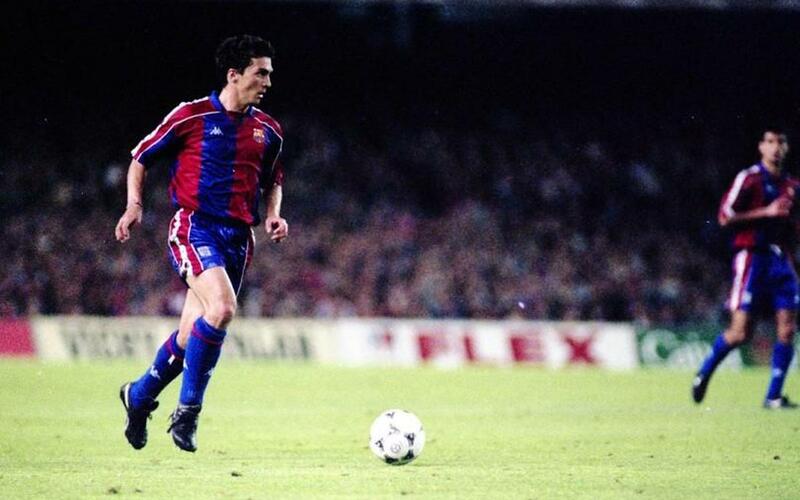 Guillermo Amor was, undoubtedly, the ideal paradigm for a locally produced player that was unconditionally committed to the Barça colours. On 9 March 1996, he scored Barça's 4000th goal in La Liga. On leaving the Club two years later, he was the players with most trophies in its history. He was the FC Barcelona head of youth football from 2003 to 30June 2007. In July 2010 he rejoined the Club as technical director of football training, a post he occupied until 30 June 2014. In July 2017, together with another former blaugrana, José Mari Bakero, he took charge of Professional Youth Football at the Club. In October of the same year he became the new director of instituional and sporting relations at the Club. Since 2010, Benidorm CF's stadium has been known as the 'Estadi Municpal Guillermo Amor'.